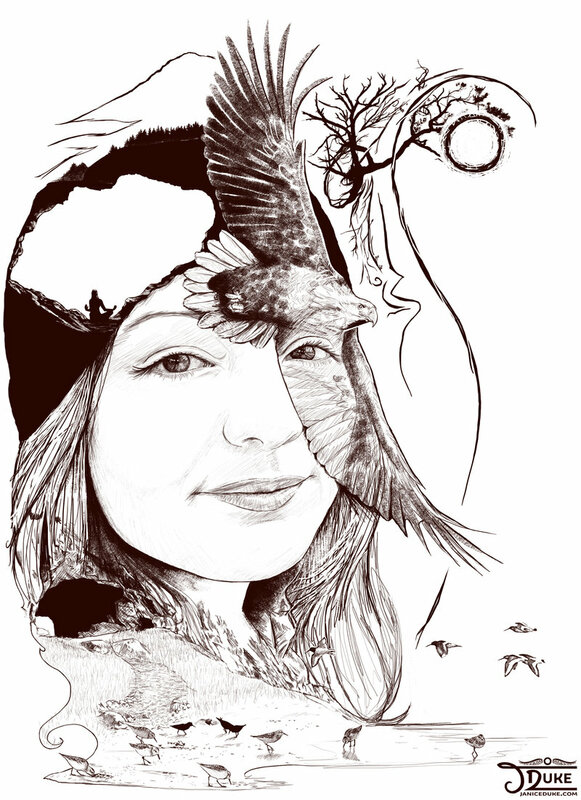 Self portrait inspired by a camping trip around Assynt and Gruinard Bay, Strathnaver and Durness. Lots of lovely scenery and a brief but wonderful glimpse of a white tailed eagle. I love your self portrait. Is very charming and creative.I love the story behind the painting and the way you put it in your artwork.